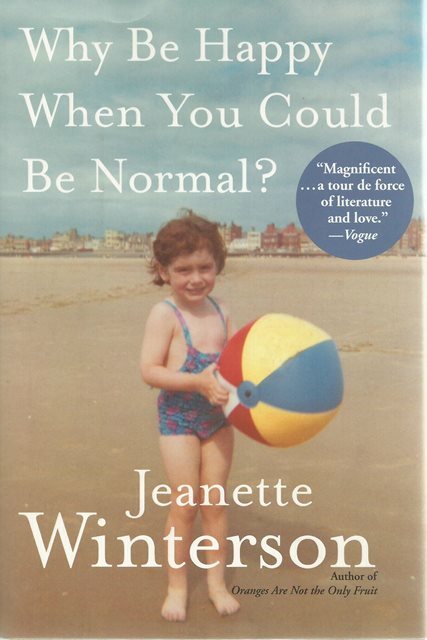 Why Be Happy When You Could Be Normal by Jeanette Winterson is a memoir about a life’s work to find happiness. It is a book full of stories: about a girl locked out of her home, sitting on the doorstep all night; about a religious zealot disguised as a mother who has two sets of false teeth and a revolver in the dresser, waiting for Armageddon; about growing up in a north England industrial town now changed beyond recognition; about the universe as a cosmic dustbin. 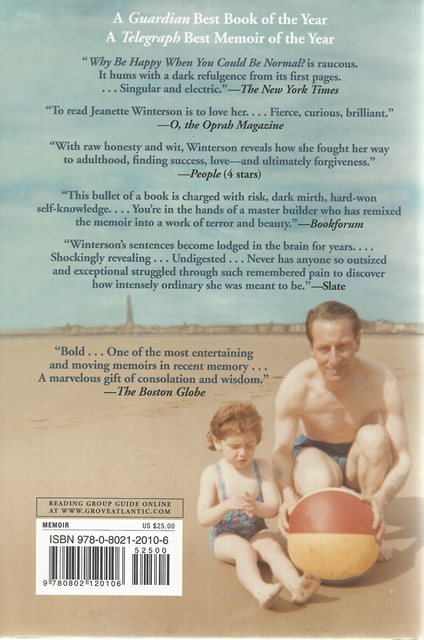 It is the story of how a painful past, which Winterson thought she had written over and repainted, rose to haunt her later in life, sending her on a journey into madness and out again, in search of her biological mother. It is also a book about other people’s literature, one that shows how fiction and poetry can form a string of guiding lights, a life raft that supports us when we are sinking.